With the announcement that Adobe, one of the world’s largest software companies, is to integrate 3-D printing support into it’s Photoshop package, it’s about time that the rise of 3-D printing was assessed, and the impact it’s having on archaeology. It’s rise has been unprecedented, but what have archaeologists done with it? Defined as a “three-dimensional solid object of virtually any shape from a digital model”, a 3-D printer costs anywhere between £300-£3,000, although these are generic. A 3-D scanner for archaeologists is being developed through Kickstarter, the crowd-funding site, which can then be used to create a 3-D model, which could then be printed (see below). This shows public support for these technologies are becoming more and more popular (at the time of going to press). However, the “printed gun” incident shows that, combined with the open-source nature of the internet, thousands of people can create undetectable lethal weapons in their own home. However, this is a one-off case, and the popularity of 3-D printing is being shown with children’s drawings being turned into toys and decorations. Increased 3-D compatibility opens up the door to hundreds of businesses. For archaeologists, this gives us hundreds of opportunities. For example, we could build a scale model of a landscape using accurate data, or have a 3-D printer create a model of an artefact to pass around the class. Alright, it would probably be in plastic and not metal or stone, but you get the idea. It would allow the collection to come to the classroom without having to go to the exhibit itself! This would remove the risk of damaging the artefact, and throw new light onto an artefact through sensual analysis, and you would be able to repeat this because the experiment can be done again without damaging the original. But this raises all sorts of issues; for one, does this then remove the need for museums? Of course not, but it does jeopardise the raison d’être. Museums contain so much more than just the artefacts, but if the focal point of a display can be recreated in your living room, then what is the point of seeing the real thing? Several conferences have debated this matter of recreating archaeology, and whether the real thing is worth seeing over a copy or a virtual exhibit. Finally, when you recreate something from an original, it will rely on the quality of the 3-D printer; you will never get the 3-D printer to perfectly replicate the artefact in question. It’s not all doom and gloom for archaeology and heritage. Arch Aerial, a new company that specialises in using drones to record landscapes and sites, is using 3-D printers in an innovative way; by using 3-D printers to create prototypes of their drones, they can cut costs significantly by bringing every part of the design process into their office, rather than outsourcing to an external firm. These drones can fly into areas that other technologies simply can’t, like a rainforest, and operate far quicker too; the photographs can be combined into a photogrammetry package (such as Photoscan) to create 3-D models within 20 minutes of downloading a flight, allowing for real-time interpretation of sites, and it doesn’t stop the excavation for more than a few minutes, since the drones are so stable (albeit noisy). Contrast that with the use of helium balloons, or kites, or a camera on a stick (I’ve seen most of these being used); where the quality and quantity of the photos, the limited range of environments they can work in and the way they disrupt the site’s excavation on a budget often make aerial photography an unpopular choice for most site directors. Additionally, this makes drones affordable to archaeologists; for us, you can buy one of their kits for less than £2,500, or hire one for £1,000 for a 3 month period, to capture high-quality images of your sites, anywhere form 20-300 metres above the site. The quality of the photogrammetric models is also very similar to the more expensive Archeotech drone. Arch Aerial plan to install LIDAR units in place of the cameras; imagine the potential that would have for excavations and photogrammetric models! 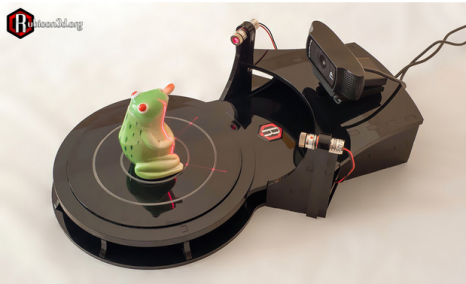 Therefore, the 3-D printer is making sites more recordable than ever before, and combined with software packages, it makes for an excellent tool to help interpret the site “at the lens edge” (to murder Ian Hodder’s quote). It should be pointed out that these are not the same drones that get used by the military, although if archaeologists start using drones in this way, then we would have to comply with the Civil Aviation Authority (CAA) Civil Aviation Authority in a new way, by having to obtain permission from the CAA for work purposes, and if we capture images of identifiable people, then the images come under the Data Protection Act. So this affordable technology comes with a small price to pay, in more ways than one. 3-D models for all archaeologists? Related to this is the use of the internet to create, upload and share 3-D models for free, such as Sketchfab, where a number of archaeologists have already used it to upload their models of excavations and contexts. The Post Hole Journal has an article on this application. This is an area that I can only see going upwards; the sky is literally the limit in terms of how many models you want to make, and what scales should be used for the landscape approach. 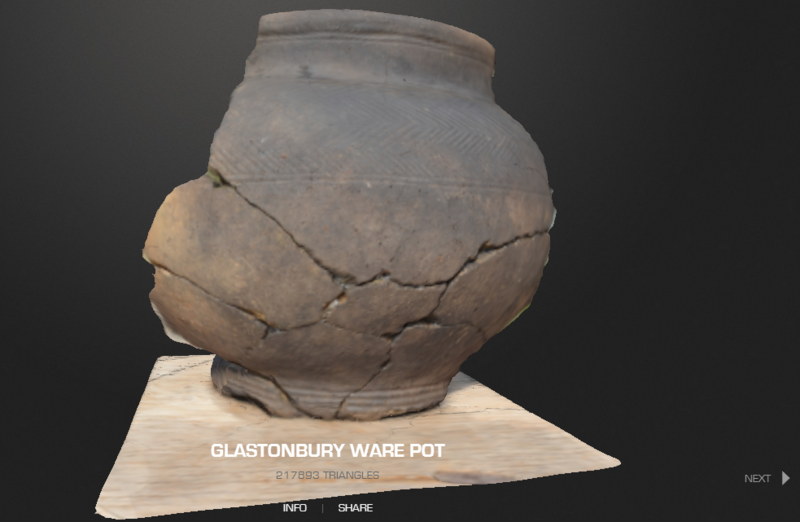 If you check out the models on Robert Barratt’s Sketchfab portfolio though, you will see that it is the artefacts that get the attention of the modellers, preserving the artefact in multiple mediums, rather than the landscape itself. More innovative ways of using Adobe’s package to create 3-D models will only help with the semantic element of the web, where data can be linked together in single, understandable, “one-size-fits-all” terms that transcend languages and national agendas, in line with websites like Sketchfab. Adobe’s package will allow customers more freedom to invest in home-grown and startup businesses, but where does this leave big companies that rely on recreating 3-D products and goods? In particular, an interesting battle is raging on the tabletop, with Games Workshop (the world’s largest tabletop wargaming company) competing with smaller firms, who are presenting a far cheaper (and arguably more high-quality) product. This has lead to lawsuits in some cases! While this is not something I foresee with archaeological firms, we should bear in mind that the government is still waking up to the legal precedents that 3-D printers will set, which will have implications for the future. While archaeology may not be affected as much by these developments, it still serves as a warning for us not to get into the same battles. While I wouldn’t trust a 3-D printed trowel for excavations, the potential for archaeology and 3-D printers is incredible. Some of the technology is already and a lot of it is affordable or can be run from your laptop. Big businesses may still be around, but expect to see a lot more home based businesses using 3-D printers, and with that, archaeological innovations. In particular, recording archaeology is becoming a lot easier, relating 3-D printers with photogrammetric software in poetic harmony that even a few years ago would have been considered impossible, “taking off” into a world where high-quality data is accessible to all. However, some interesting issues still remain, particularly over copyright and potentially some legal battles, and we must be ahead of the game in this respect; for more information about using drones in archaeology, I recommend the Civil Aviation Authority‘s guidelines on UAV’s (unmanned aerial vehicles). I am a Durham University and University of Southampton alumni with an interest in geophysical and buildings surveying. My undergraduate dissertation employed geophysics at Stanwick Oppidum, and assessed it's relation to its landscape, showing how the site (on current evidence) was actually not as significant as we percieve it to be. This is being followed up by Dr. Tom Moore at Durham University (https://www.dur.ac.uk/research/directory/view/?mode=project&id=666). My postgraduate dissertation used a number of non-invasive techniques in investigating Sir George Staunton's Leigh Park House near Portsmouth, including geophysics, field survey and laser scanning, as well as investigating the earlier history of Leigh Park House. I have excavated in England, the Channel Islands and Tuscany, Italy, in multiple cultures and chronological frameworks. I have completed geophysical surveys, including in Tunisia with the British School at Rome. I have completed a number of survey reports, including the award-winning conservation management plan for Durham Cathedral ,concerning their South Street Mill on the river Wear, where I surveyed and interpreted the north-face exterior wall. 2 Responses to "The Rise of 3-D printing in Archaeology"